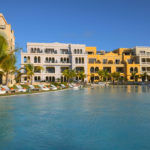 AlSol Luxury Village is a luxury resort situated in Cap Cana, the private resort area in Punta Cana. 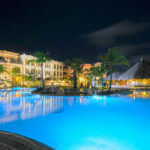 Surrounded by the spectacular Cap Cana Marina this resort offers breathe taking views at every turn, and is only 10 minutes from the Punta Cana International Airport. Guests can choose from either an All Inclusive or European Plan. 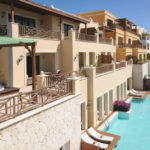 True to its name, AlSol Luxury Village is uniquely designed like a small village with 300 spacious villa-style suites. AlSol Luxury Village is located in Cap Cana, the beautiful resort area inside Punta Cana. Cap Cana is the perfect destination for travelers searching for true Caribbean luxury. Cap Cana is made up of 30,000 acres of flawless beaches, and oceanfront valley roads. Cap Cana is the ideal destination for any type of traveler, with a variety of things to do, such as, water sports and outdoor activities, and high quality restaurants. This destination is also home to the incredibly popular Punta Espada Golf Club, which is considered one of the best golf courses in the Caribbean. Cap Cana also holds one of the most spectacular Marinas in the world, famous and accredited by international journals for its fishing. All of these amenities combined with Cap Cana’s turquoise waters and white sand beaches make it one of the most beautiful and desirable vacation spots in the world.